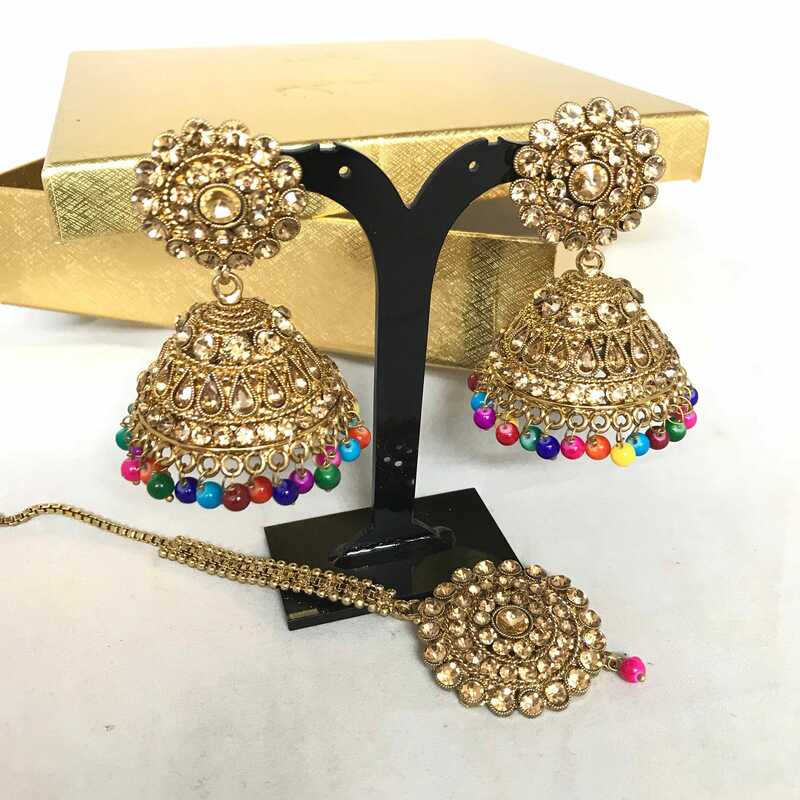 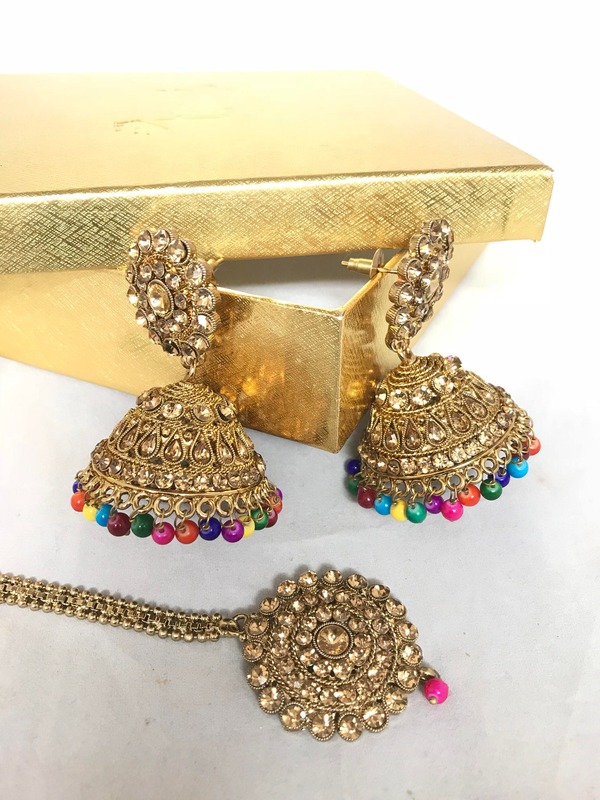 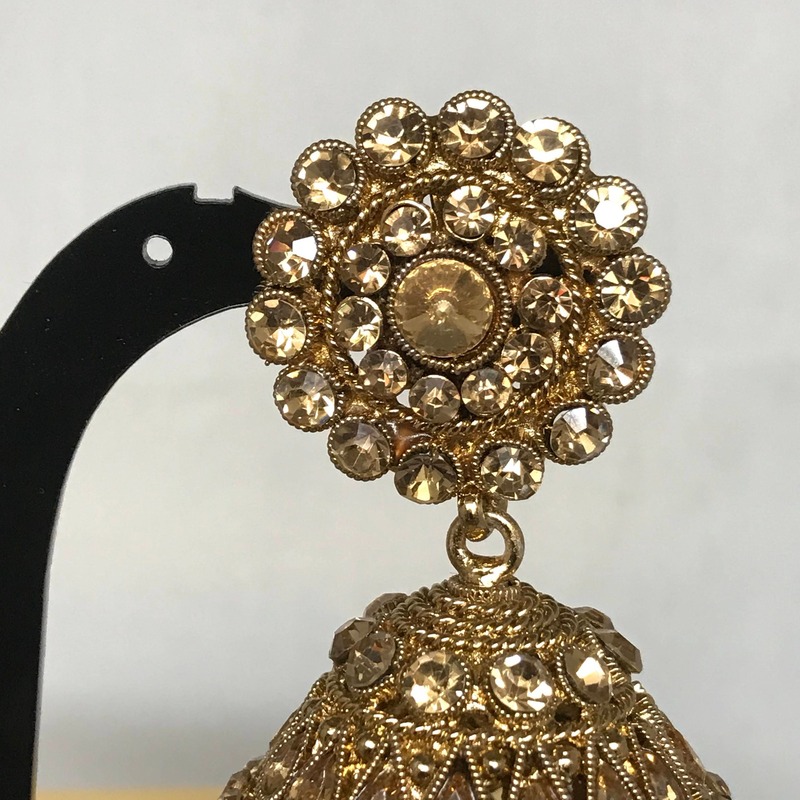 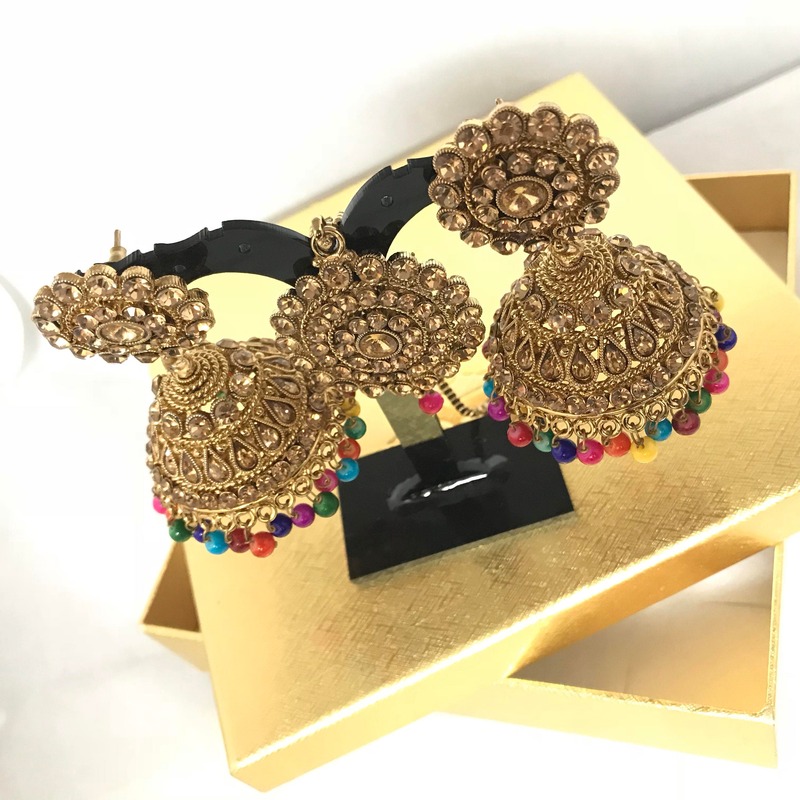 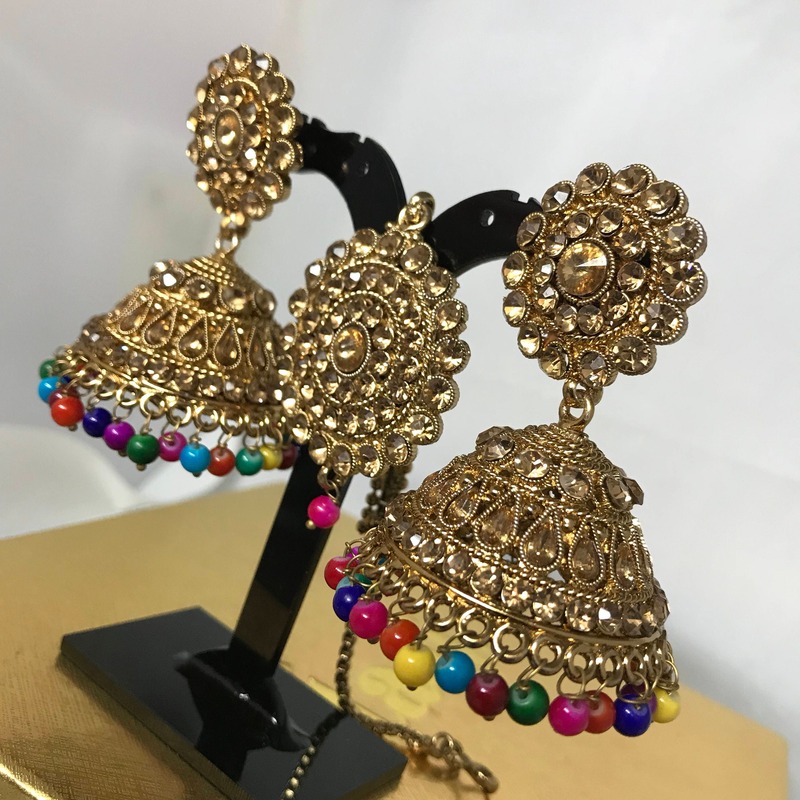 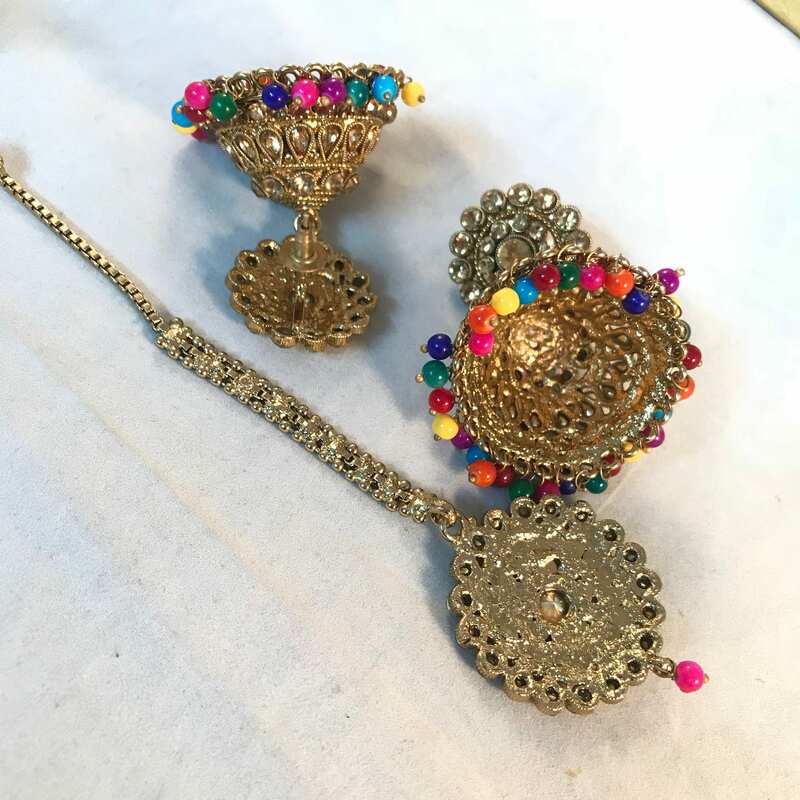 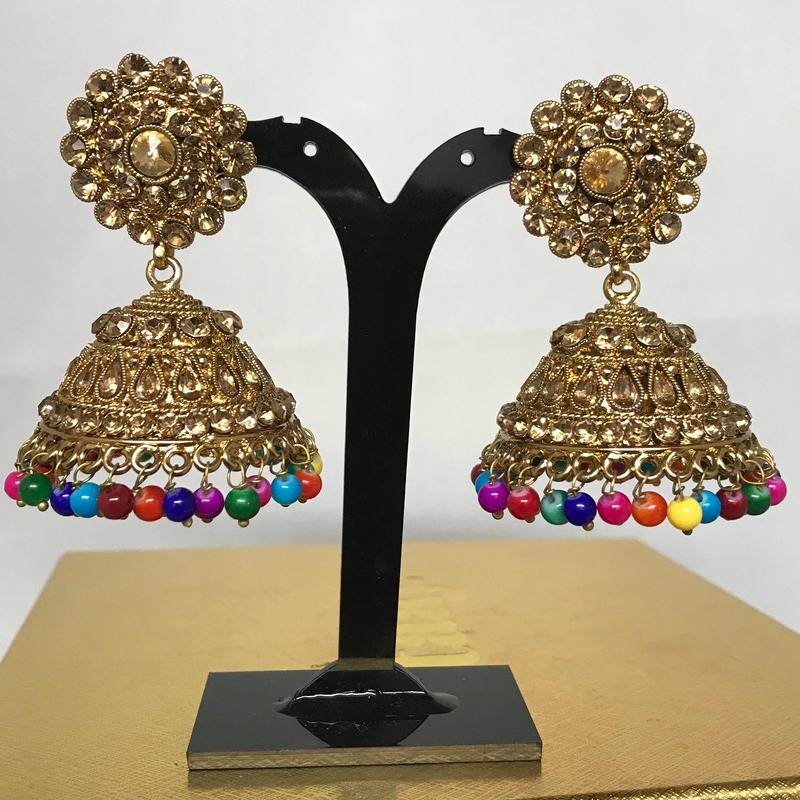 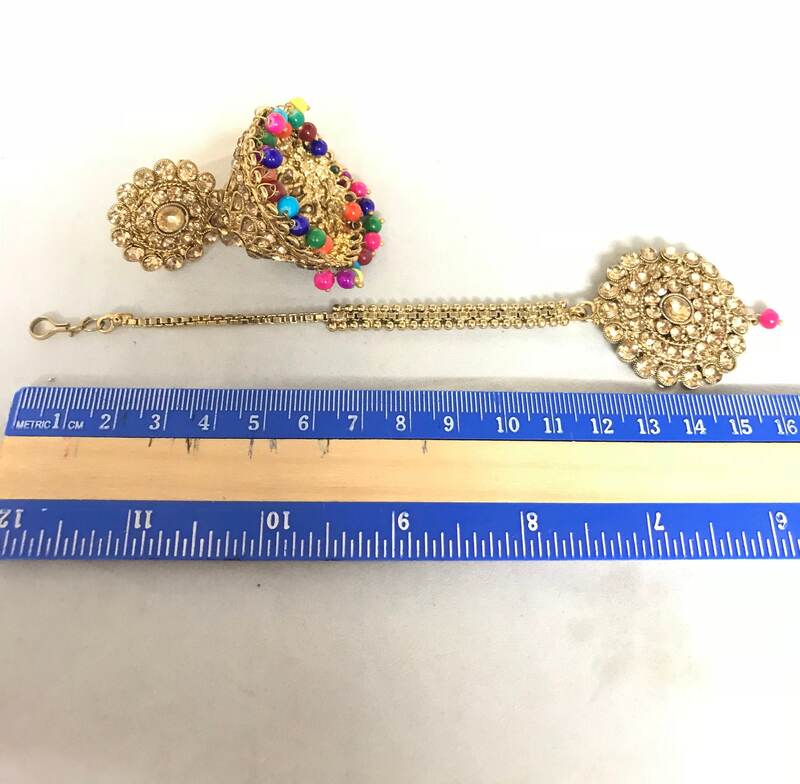 Antique gold matching jhumka earrings and Tikka set. 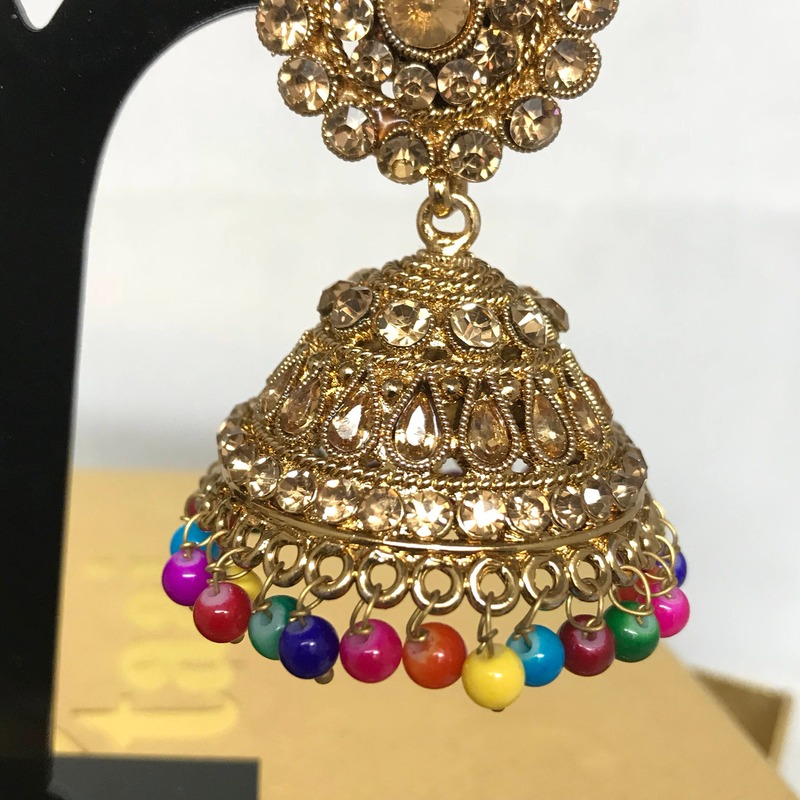 Bell shaped earrings encrusted in gold Diamanté and zirconia stone, with centre gold colour Diamanté and multi colour ball droplet. 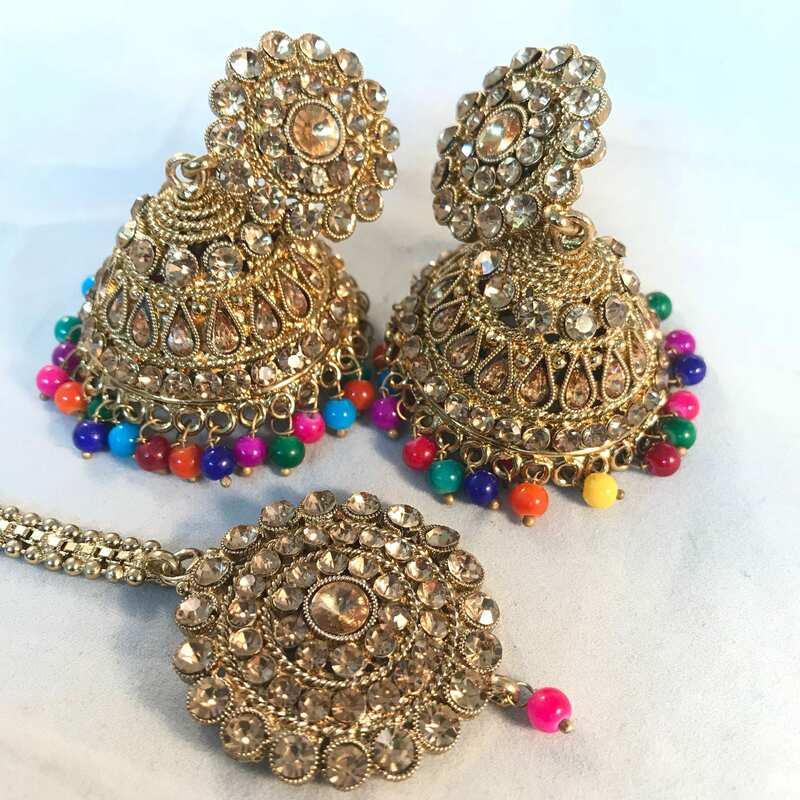 Round shaped tikka encrusted with gold Diamanté and zirconia stone, with single hot pink ball and droplet.